Whether moving a house or an apartment, our Dallas residential movers want the moving process to be a smooth and seamless transition for our clients. Our licensed and insured residential movers can take the stress out of moving. While you finalize details and look forward to life in your destination. No matter your moving needs, we’ve got you covered. You have probably discovered that there are a lot of options available when shopping for residential movers. With so many choices available, you have to determine which residential movers will give you the best value for your dollar. At VIP Nationwide Moving Company we feel that our seasoned crews have the right balance of efficiency and effectiveness to complete your move with the highest quality of service. Providing you the best value for your dollar. We feel this is made evident time and time again through the loyalty of our customers and the referrals they provided. 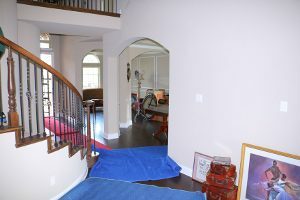 Our team of Dallas residential movers, participates in extensive training and preparation before ever setting foot in your home. We never use day labor and are all background checked, drug tested and regularly evaluated. This ensures that only the best of the best take care of your family. VIP Moving Company can assure you that wherever you are moving to or from, there will be experienced, well-trained personnel available to handle your move. At VIP Moving Company our residential moving crews live, work and play in your area. They are familiar with the region, knowing the best routes to get you moved safely and efficiently. Plain and Simple. We love what we do, and we strive everyday to do it better than anyone, anywhere. VIP Moving Company is a family helping families take the stress out of an often stressful experience. Whether it’s across town or across the country, let our family of residential movers be the first to say Welcome Home! VIP Nationwide Moving Company is a Texas proud. Family owned and operated professional moving company providing quality moving services to local Businesses, Families, and Apartment communities for over 10 years. Because we are moving your family’s life not just your physical possessions. We use the best equipment, and provide a highly trained team to protect and move your home or business. We strive to earn a reputation for professionalism and are dedicated to providing unparalleled services by meeting the needs of each and every customer. The VIP Nationwide Moving Company staff is no stranger to the moving industry. This strong family team includes a 30 year veteran of transportation management, a professional moving consultant seasoned by 8 years. We have the best office staff, drivers and movers in the industry. At VIP Nationwide we pride ourselves on dedication to maintaining quality service and exceeding expectations. We have been doing it again and again as customers continue to recommend our services to family and friends for their home and business needs. A name is just a name without the right residential movers to hold it up.